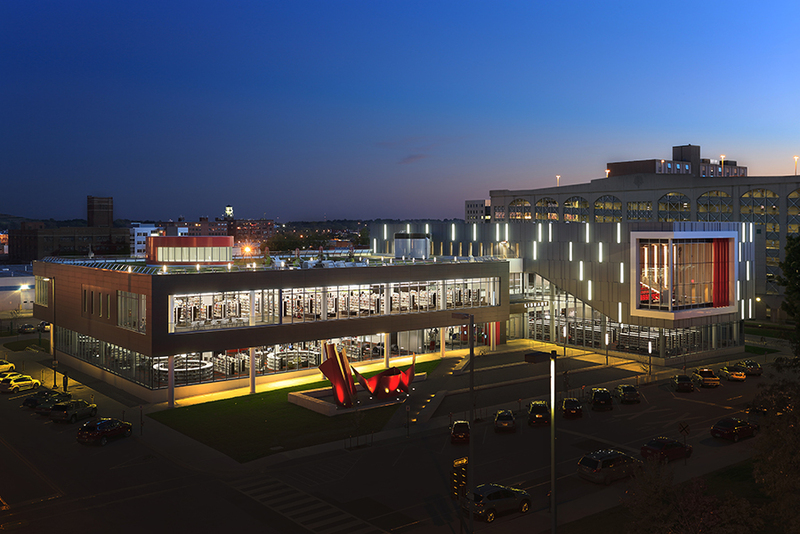 Among the six awardees of the 2015 AIA/ALA Library Building Awards was the Cedar Rapids Public Library. These awards, which are governed jointly by a division of the ALA, the Library Leadership and Management Association (LLAMA), and the American Institute of Architects (AIA), embolden superiority in architectural planning and designing of libraries. These new modern library designs are needed to accommodate the needs of the community and bring libraries into the 21st century. After the disastrous flood of 2008, the Cedar Rapids Public Library was completely destroyed. Five years later, the new modern Cedar Rapids Public Library opened its doors. In addition to the building encompassing the green building certification program known as the LEED (Leadership in Energy & Environmental Design) Platinum Requirements, BCI Modern Library Furniture was selected to provide shelving. The product chosen, our 60/30 Radius Steel Shelving, is a flexible shelving system which can be used to create a variety of solutions. Click this link – Cedar Rapids PL Layout to see the layout of the shelving – there is a multitude of arrangements the 60/60 Radius Steel Shelving can produce. 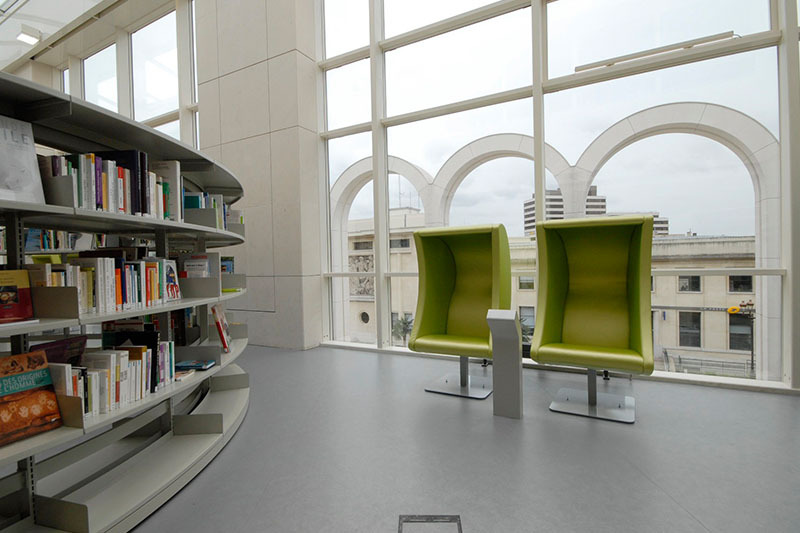 Contact us today for more information on how BCI Modern Library Furniture can enhance your new library design. According to a study done by the Pew Research Center, 77% of Americans say it is “very important” for public libraries to provide free access to computers and the Internet. 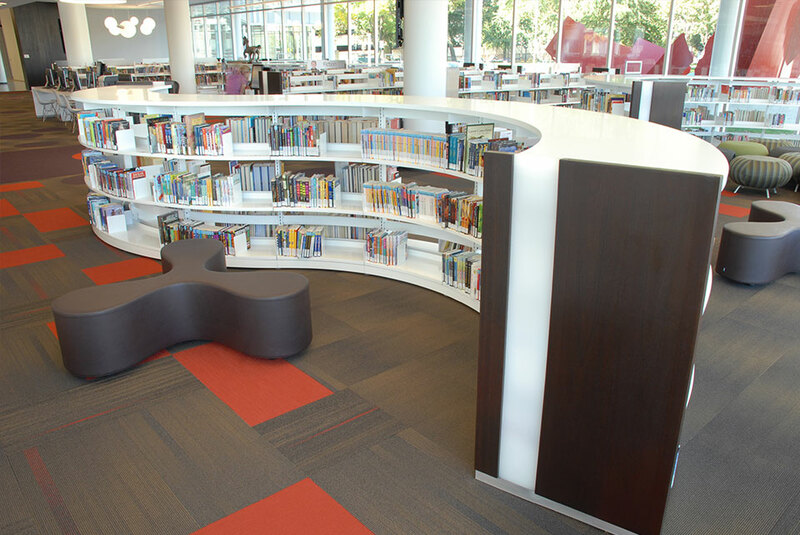 This means that when designing new libraries or remodeling old, it’s important to design spaces and choose library furniture that provides quick access to electronic information and communication technologies. • Computer stations. These can be fixed, or they can be adjustable to support people of different sizes, as well as sitting or standing use. Computer stations come in many different materials, designs, sizes, and colors. • Desks. Today’s library desks often feature enhancements such as built in power-outlets that facilitate the use of computers. • Study cubicles and carrels. Study cubicles and carrels may be designed to hold full-size computers, or to support laptops and tablets. They feature built-in power to make computer use easier than ever. For more information on designing, planning, or furnishing spaces that promote computer and Internet use, and on choosing library furniture that supports your needs, visit BCI Libraries.